Less than 10 days after someone spotted Sling Media’s unannounced Slingboxes on a shelf at a BestBuy store come official details from Sling, which opted to remain tight-lipped about the new products until now. Let’s take a look at what’s new for the Slingbox 500 and 350. First, it’s nice to see that we have images of the actual products, instead of shots of boxes on a shelf. Both look great, and the 500’s sleek, angular aesthetic is particularly cool. The real update here, though, is that the 500 will offer SlingProjector capability, allowing you to stream content from your mobile device to your television. 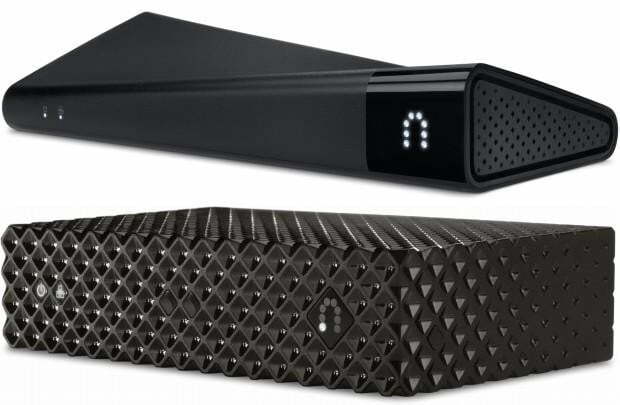 Originally, Slingbox offered only what it called placeshifting technology, which allowed users to stream live and recorded television to their mobile PC’s, smartphones and tablets. This is a modest update, but one that brings the new boxes in-line with the times. As mentioned last week, the 500 also offers built-in WiFi. Furthermore, we now know that both models will be able to stream in full 1080p HD, which was expected, but, until now, unconfirmed. Slingbox is also rolling out new SlingPlayer software, which will retail for $15 initially, a price point the company says reflects a 50 percent discount as a special launch offer. Overall the two new boxes seem more like updates to an existing formula –nothing too new here. But if you’re already a Slingbox fan, this impromptu release is a welcome one. Both the Slingbox 500 and the Slingbox 350 will be available on October 14th. The 500 will retail for $300 and the 350 will retail for $180.